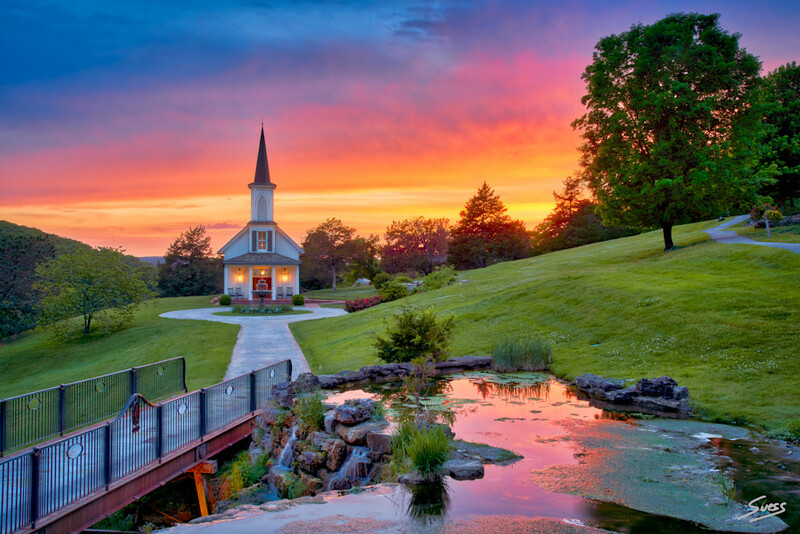 An epic sunset at The Garden Chapel in Big Cedar Lodge in the Ozark Mountains of Ridgedale, Missouri. This was photographed during a corporate photo shoot I was doing for Johnny Morris & Big Cedar Lodge in 2018 (Johnny Morris owns Bass Pro Shops & Big Cedar Lodge). If you are interested in me photographing your resort property be sure to contact me.